We hold expertise in developing a high performing range of SMA Connector. It is designed using finest grade raw material in tandem with set industry standards. We also customize this range as per the specifications detailed by the client as well as in standard dimensions. Our clients can avail this range at industry leading prices with us. 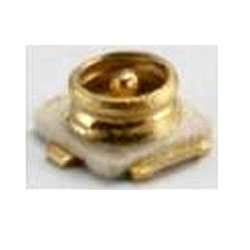 We offer Straight PCB Mount that is designed as per latest industry standards. It comes in metal plating with remark shell. 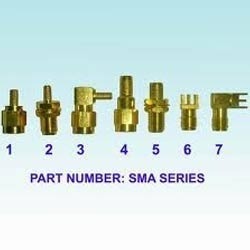 This range is also available body brass gold 2 contact socket. It is designed using finest quality material in desired shapes and sizes. This range is acclaimed for its durable make and outstanding finish. Our clients can avail this range at market leading prices with us. 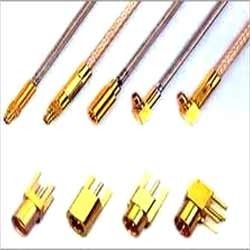 Our clients can avail from us a well-designed range of MMCX Connector which is offered in customized shapes and sizes. This range is widely acclaimed for its quality compliant make and robust quality. It offers superb connectivity without any delay and lags. This is offered in different types both standard as well as customized to clients needs. We offer a wide range of Receptacle Connectors to our clients. This range is acclaimed for its outstanding quality and performance. 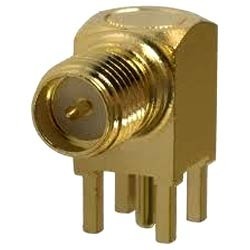 It is available in UFL and coaxial UFL connector types. One can avail it either in gold contact plating with phosphor bronze as contact material or in brass contact material with a plating of gold. It is offered at industry leading prices with us. This range is PC Board mounting type and right angle jack body style. Looking for RF Connectors ?